project on time and under budget. 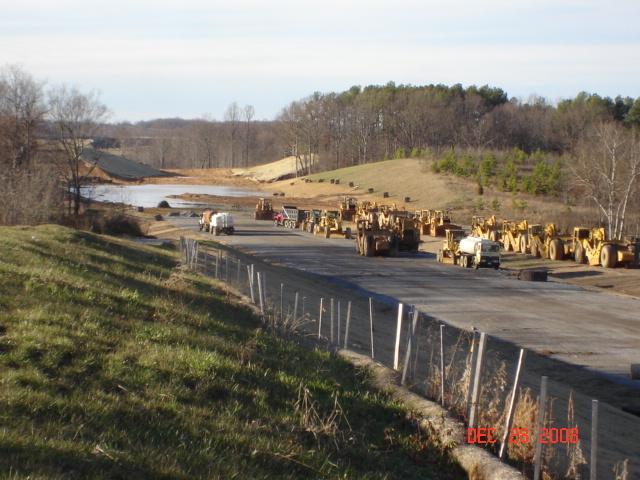 Smart Fix 40 Besides laying out bridges, walls, grading, and drainage on this largest construction project in Tennessee history, W&A also acted as the prime contractor’s representative in all erosion-prevention and sediment-control matters. This included the contractor’s plan for staging EPSC operations, EPSC inspection services relative to water quality, erosion and sediment controls, and water-resource-related permit compliance for the project, as well as coordination of the contractor’s BMP installations to minimize environmental impacts. W&A worked with environmental community groups, the City of Knoxville, and TDEC to meet the project’s environmental obligations. The efforts resulted in no NOVs.